Rent Tranquil French Bistro | Corporate Events | Wedding Locations, Event Spaces and Party Venues. 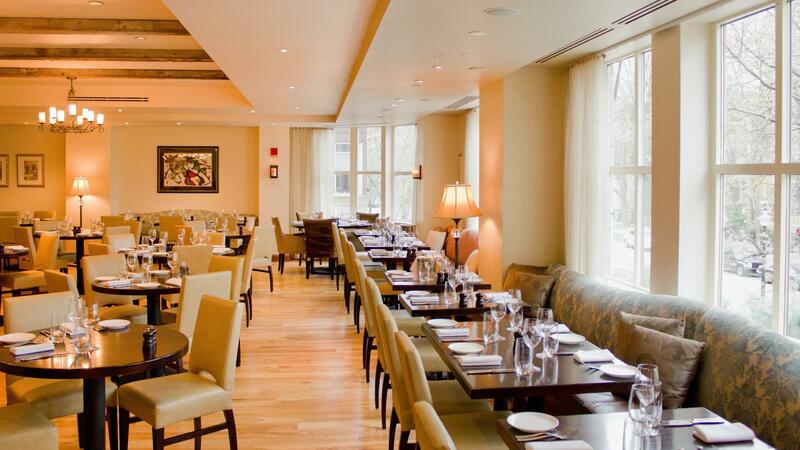 Featuring authentic, ingredient-driven Provencal cuisine, this restaurant is centrally located, with breathtaking views of the Boston Public Garden. This restaurant is available for larger corporate events, weddings, receptions and more. Choose the entire restaurant or our elegant main dining room and let us create your vision and make a memorable night. Plated dinner or reception style events are available. We can create a custom proposal tailored to your vision. This venue's Matisse Alcove, located on the second floor, is a great cozy, semi-private table. With walls on three sides the fourth remains open to the dining room, allowing guests to enjoy the energy and vibrancy of the restaurant. It seats a minimum of six people and a maximum of ten people. The restaurant's wine room, located on the second floor, is great for intimate celebrations or business dinners. It is a beautifully appointed space with sketches by Henri Matisse that adorn the walls above the rustic Provencal farm Table. The room features gorgeous views of Boston’s Public Gardens on one side and our extensive wine cellar on the other. Separated from the main dining room by handsome sliding barn doors, this room can accommodate parties from ten to thirty.